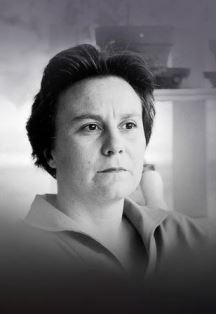 Harper Lee’s new (!?) 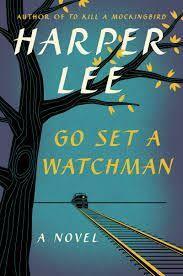 book Go Set a Watchman has got a lot in it—a lot to like, some things to be annoyed about, and plenty to ponder. What’s to like? Relevance. There’s never a bad time for a conversation about race and class in America (though as my friend Lisa Sandlin posted, it’s too bad this book didn’t come out in 1962). The issues raised seem particularly timely in light of the confederate flag, videotaped police violence and the strange case of Rachel Dolezal, to name just a few. Lee provides insight into the motives and thinking of the polite racists like Atticus, Hank Clinton, Alexandra, and maybe Scout herself. She walks us through a thought piece about the race and class with relevance far beyond the South. The period writing is still solid and there were some nice ironic touches as well, some of them unintentional, as when Scout is grateful for her Aunt Alexandra for taking care of the aging, arthritic Atticus. What’s to not like? Atticus, of course. It’s like growing up and discovering that the people you admired as a child are not the men and women you thought they were. But that’s Lee’s point. And I wish there had been more exploration of Henry Clinton, whose membership in the Citizen’s Council seems driven by his own tenuous social status. Also to not like: as the novel progresses there was too much didactic exposition wrapped in too many dramatic confrontations—with just about everyone: Calpurnia, Alexandra, Hank, Atticus, Uncle Jack (who is a bit of a contrivance). What’s to ponder? Everything. Why does Atticus sometimes wear two watches? What’s the symbolism of young Scout’s misplaced falsies? The train versus the plane? What’s the role of nostalgia (ours, Lee’s, the characters’) in all of this? Was Atticus’s racism already present in To Kill a Mockingbird? (I think so.) What are Calpurnia’s company manners—why does she “drop her verbs in the presence of guests”? And why do the Cunninghams and Coninghams worry about their names so? What an exciting time, I would think, to be a high school English teacher. And a good time to reread To Kill a Mockingbird.